It’s that time of year when fresh fruit and vegetables are in glorious abundance. I really should be pickling and preserving, and I fully intend to soon, but for the moment most of our fruit seems to be making its way into compotes of one kind or another. Fruit compotes are such an easy way to transform a huge pile of fresh fruit into a luscious bowlful of sweet, saucy pleasure. Make lots, as it keeps in the fridge for a few days. 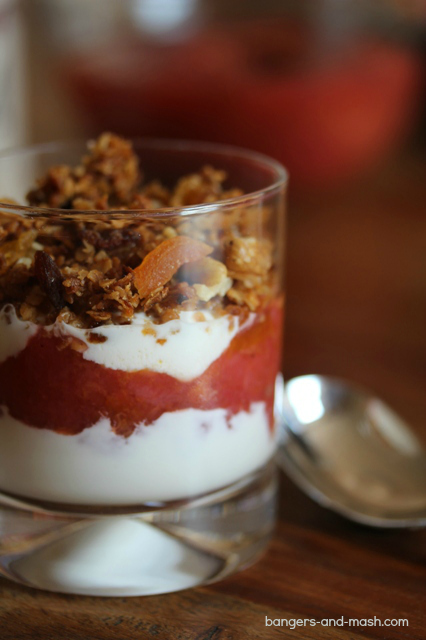 Simply tuck into your compote just as it comes or serve with creme fraiche or yoghurt for a delicious and healthy desert. 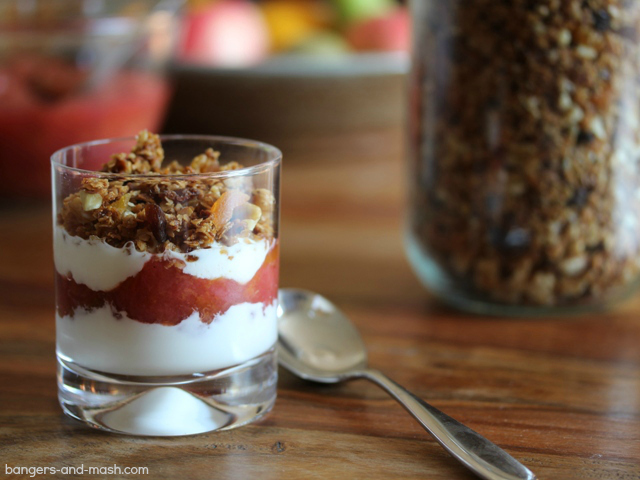 My family’s favourite way to eat it is layered with thick, creamy Greek yoghurt and homemade granola for a light yet satisfying breakfast. 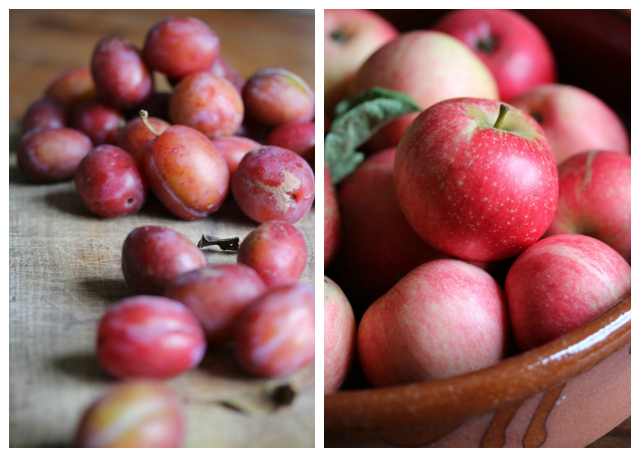 We’re enjoying vast volumes of plum and apple compote, making the most of fruit from our own and friends’ trees. Plums and apples both work terribly well combined with strong spice flavours; in this recipe, I’ve used star anise, cinnamon and vanilla. It really is heavenly. You’ll frequently find me surreptitiously tucking into it straight from the bowl in the fridge when no-one else is looking. Place the ingredients in a medium saucepan, give it all a good stir and bring to a gentle simmer over a medium heat. Cook for around 10 to 15 minutes until the fruit is soft and just beginning to break up. Leave to cool and remove the star anise before serving. 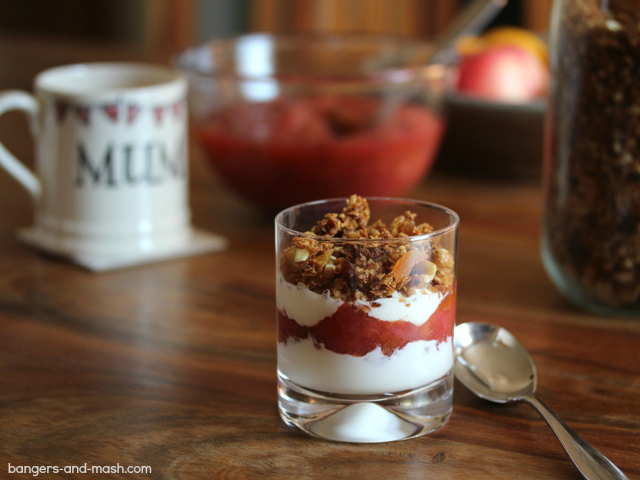 This compote is my entry into the #AgaInspiredRecipes challenge hosted by Rix Petroleum. The theme this month is cooking with plums. Lovely. A pity our plums are finished for the year. I make loads of compote too……. I agree it is such a fantastic way to use up fruit……. any fruit! This sounds delish!